We’re proud of the success of our felines, breeders and exhibitors. Those displayed are top examples of their breed. 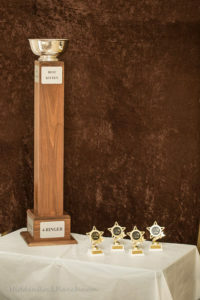 Their awards are presented each year at the Midwest Regional Awards Show and Banquet. The show season runs from the first weekend in May through the last weekend in April. Pictured here are the most current Top Cats in their category. Congratulations to all the award-winning felines, their owners and their breeders. Distinguished Merit Status: A female can obtain the title of DM by producing five grand champions/premiers. A male requires 15 grand champions/premiers to obtain his title. If an offspring of the male or female obtains the title of DM, that also gives the cat the equivalent of one grand. Earning the title of Distinguished Merit is not an easy task. These cats are certainly producing quality offspring. Minimum points necessary to earn a breed/color award at the regional level is 50.